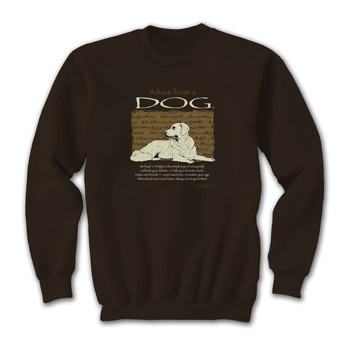 Sweatshirt heavyweight 50% cotton, 50% polyester blend. Adult sizes: L (48), XL (52). 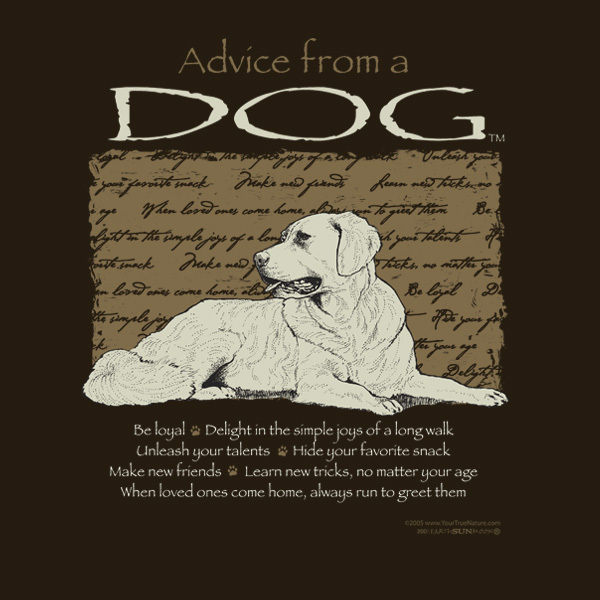 Advice from a Dog Text Be loyal | Delight in the simple joys of a long walk | Unleash your talents | Hide your favorite snack | Make new friends | Learn new tricks, no matter your age | When a loved one comes home, always run to greet them.